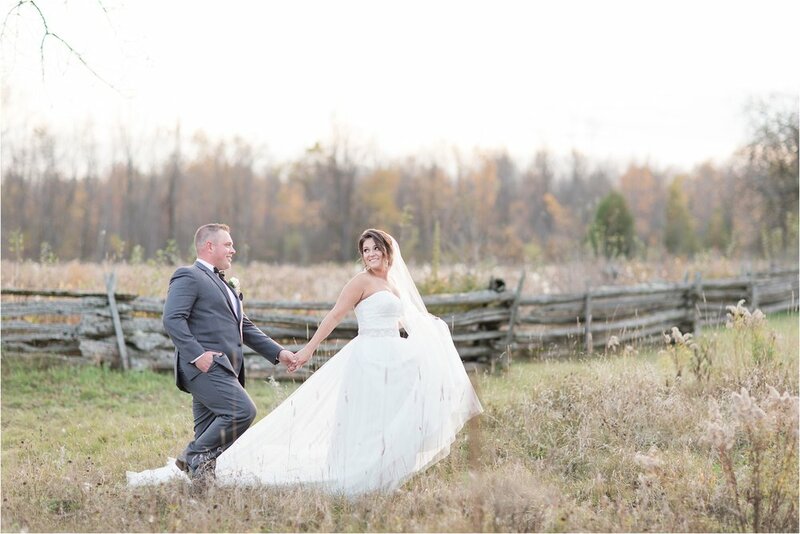 Fall is one of the loveliest times of year, and what makes it even better is all of the gorgeous Ottawa weddings that occur! I’m lucky enough to get booked up each fall with some of the most beautiful events, which makes me so happy as an Ottawa wedding photographer. 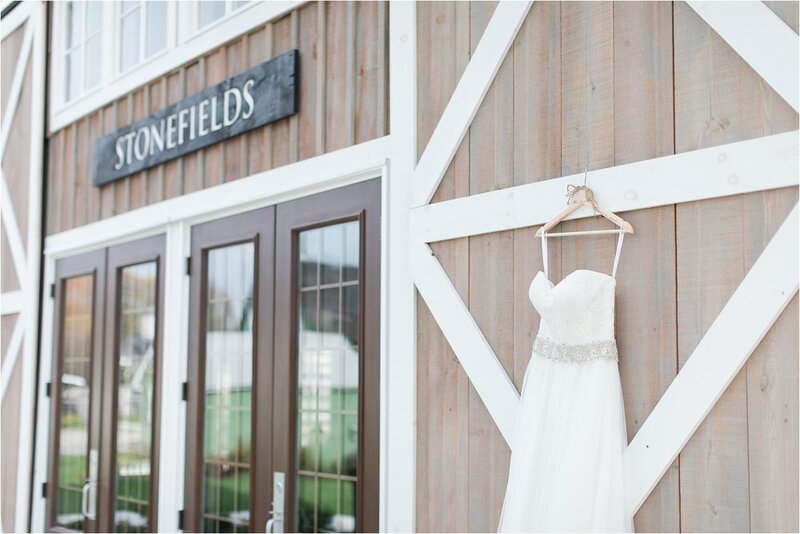 It is so fun to see the way that different couples put their spin on the classic fall vibes, and Nat and Trevor’s Stonefields Heritage Farm wedding was no exception! 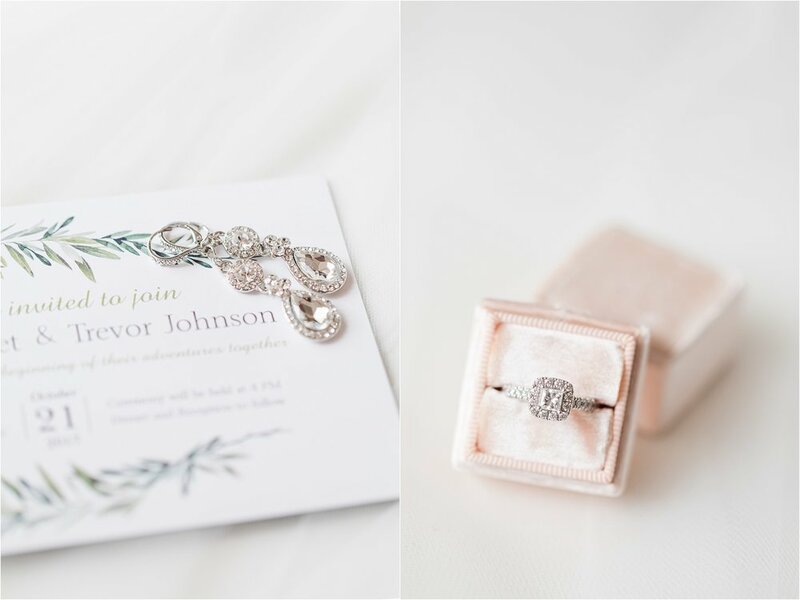 This wedding was one of my absolute favorite weddings to date—but I realize that I say this every single time! The girls started the day off by popping some champagne in the farm house in their super cute matching plaid outfits, which made for a relaxed and happy environment. 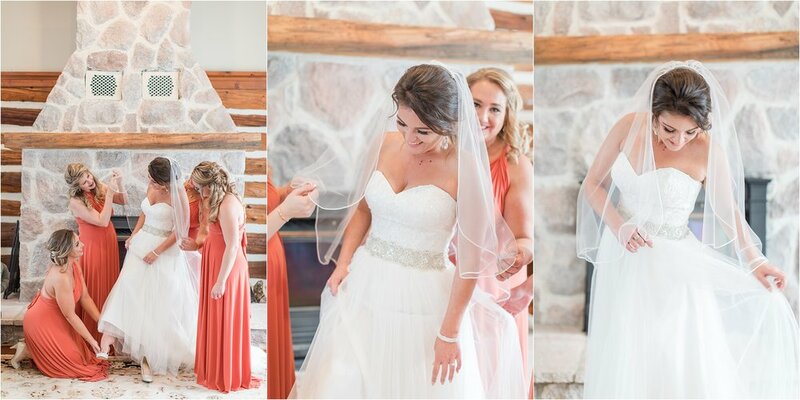 I loved photographing all of Nat’s beautiful neutral, burnt orange, and metallic details. And the groomsmen were so amazing; they were hilarious and such great sports! They prepped in the Pub at Stonefields and were such a riot. 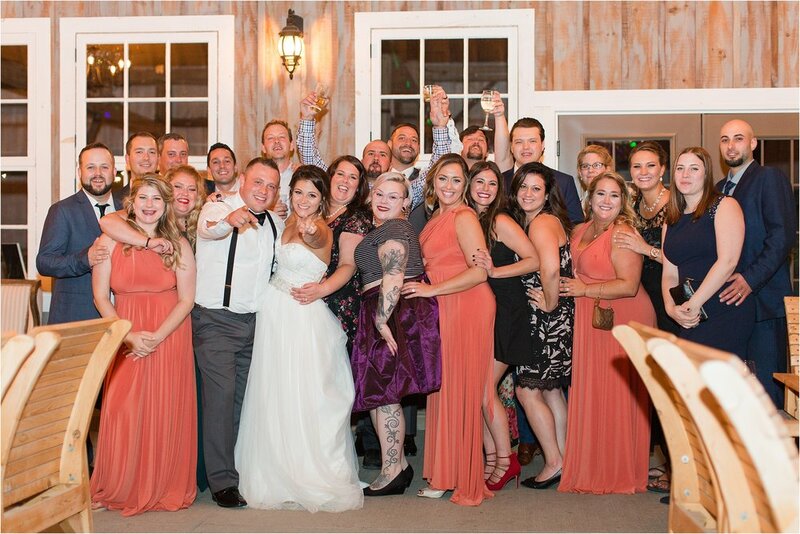 A fun wedding party makes all of the difference for a memorable wedding day. 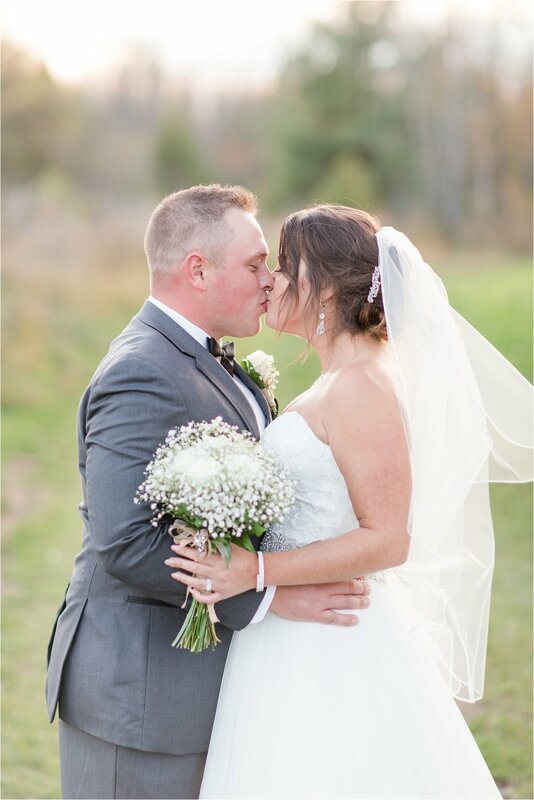 The couple opted to take the traditional route and decided not to do a first look, and Trevor’s expression when he saw his bride for the first time, walking down the aisle, was absolutely priceless! Nat and Trev were wed in a sweet ceremony on the farm, and then we had such a great time photographing their portraits all around the gorgeous venue while sipping rosé with the wedding party. They had such a genuine energy about them, and their chemistry and happiness was palpable. The photo of them celebrating right after they were officially married is one of my favorites ever. Look at her smile! 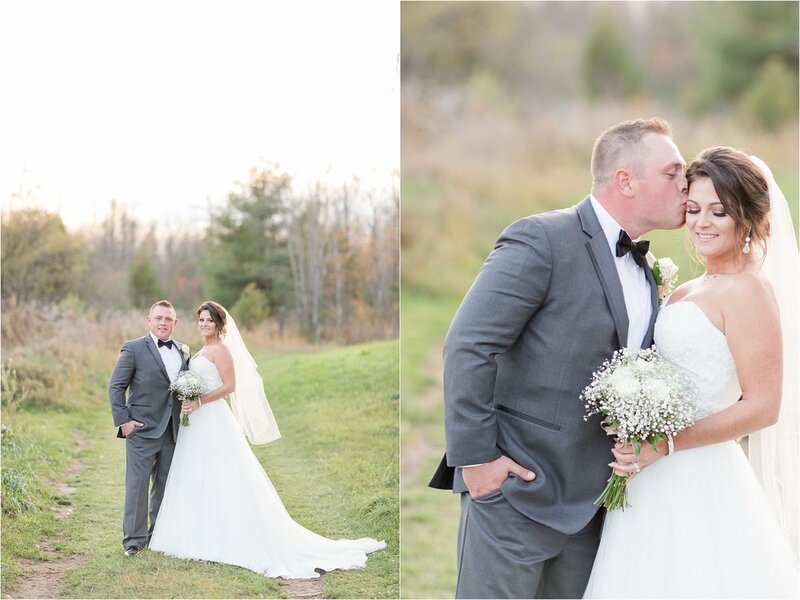 Nat looked incredible in her classic gown with lace details and a sweetheart neckline, and Trevor and the groomsmen all looked so great in their grey suits. 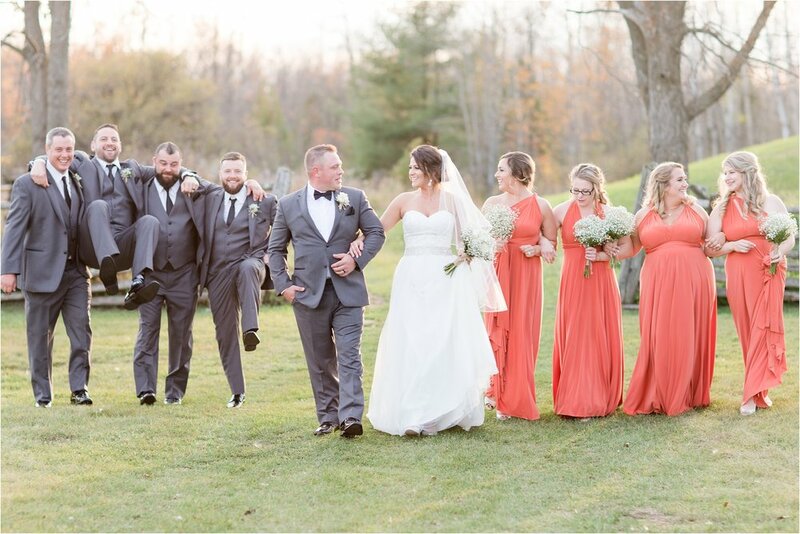 The bridesmaids’ burnt orange dresses pulled in the fall vibes in the perfect, subtle way, and the reception décor was so chic and modern. 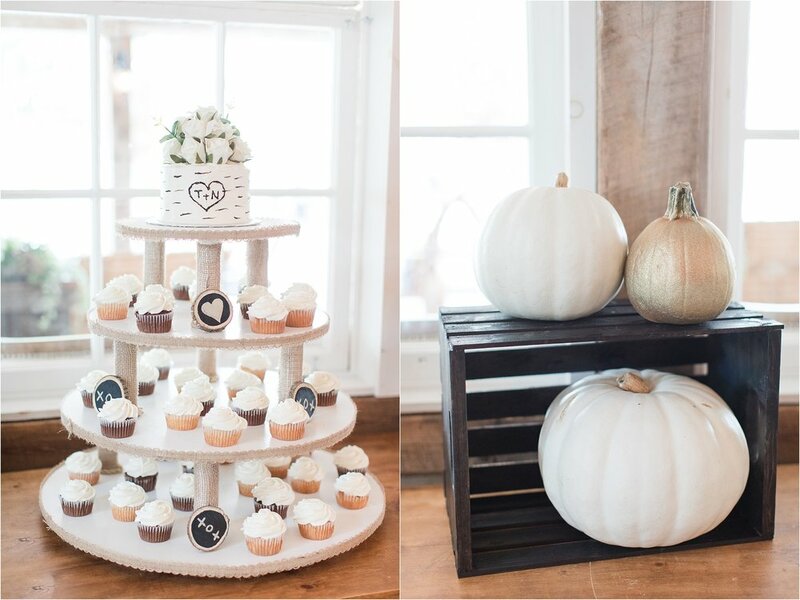 I loved the little touches, like the white and metallic pumpkins! The day was so pretty and joyful, and I am so glad that I got to be a part of it! Congratulations, you two!